I have a small RC Model that I would like to make some aluminum wheels for..
the original plastic wheels have a 2mm hole in the middle that has a flat spot so its a D shape for mounting and taking the drive..
what would be the best way to make this D shaped hole? A photo would be helpful, otherwise you will get lots of replies that would not be suitable for your application. Most small metal pulleys (probably mostly larger than this) simply use a grub screw through the wheel flange to bear on the flat. Think here meccano to about 75mm diameter low power motor pulleys. Wheels are about the same sort of thing as pulleys? Hi Adrian, a couple of ways shown in this tread, **LINK** but it will be a bit fiddley at 2mm. Hi Jason, I like that idea. When I've thunk that thought in the past, I've doubted that it would work because of the asymmetric side-forces on the broach messing up the concentricity. From the pics of your swarf, it looks as if it works pretty well. Thanks, I'll file that for future ref! Mick, it did wander off slightly so best to do the broaching first and mount on an arbor to complete. Having said that it was only a quickly knocked up broach to see if it would work and I just squeezed it in with the bench vice, a better made one and some care ensuring it is true when pressed would give better results. It came out so well I did not bother with a better version just use the test piece. If mounted on a steel axle, an aluminium wheel will be prone to fretting if there is even the slightest relative movement possible. I think I'd be tempted to also use a drop of Loctite (or similar) to prevent that. Another possible way to do a driving flat in pic below. EDM is another option if you know someone with a machine, or if you know a mouldmaker. Even if you could do it that way it would spoil the Bling effect of the alloy wheels. 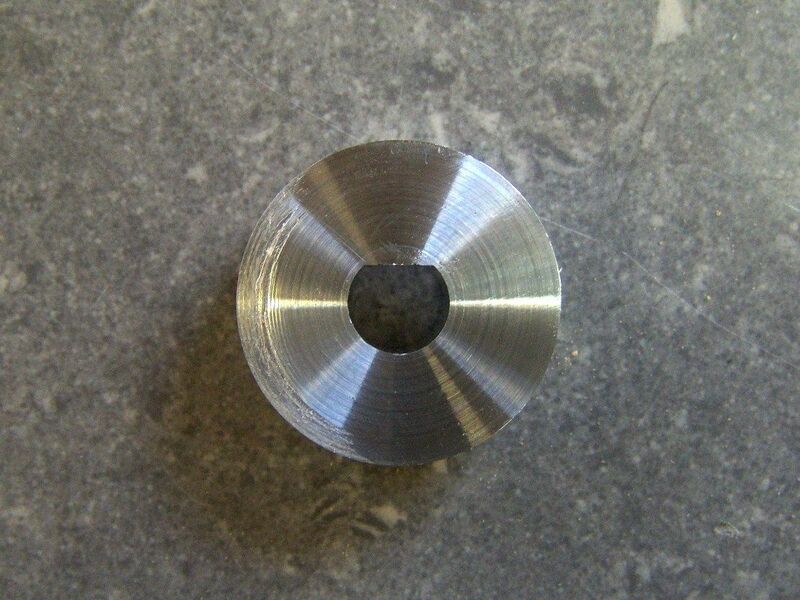 Another option may be to just put a 2mm hole right through then cross drill 1.6mm to meet the 2mm hole. Part tap that M2 and then make a small steel screw with 1.6mm plain end and M2 thread with a screwdriver slot in the end. Slip the wheel onto the stub axle, start the screw then put a small amount of Loctite onto the thread before screwing in until it just nips the flat of the axle. once the Loctite has dried you can slide the wheel on and off as needed with a fitted tyre, pin will stop it rotating. 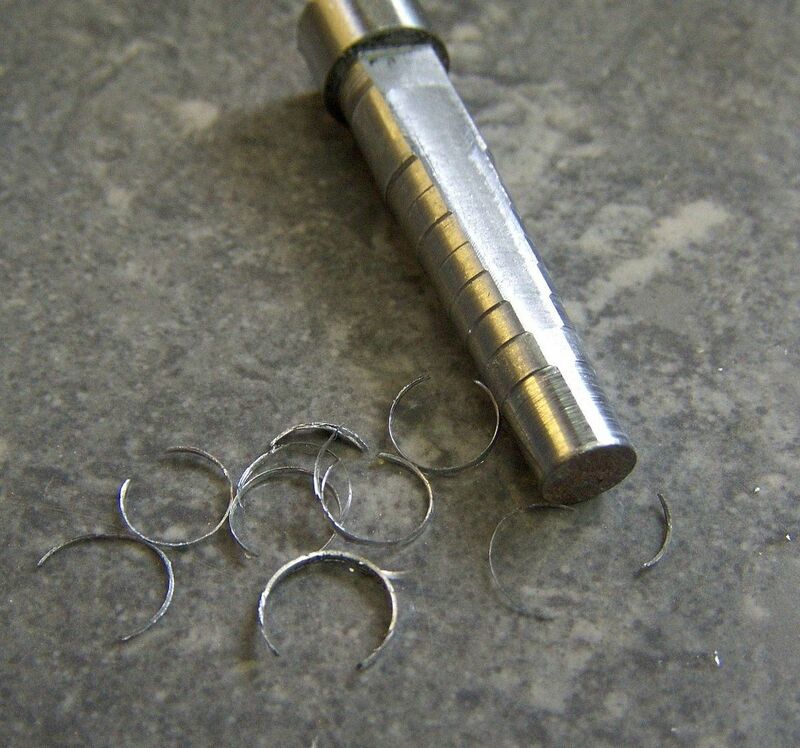 Another way might be to drill an offset hole for a small peg using an end mill, if made a close push fit should be enough to prevent rotation.